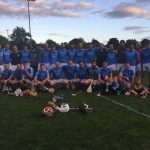 Well done to our Junior hurlers tonight on a great win in the League Final beating O’Loughlin Gaels 2-18 to 2-14 in MW Hire Dunmore. 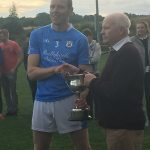 Full report below! 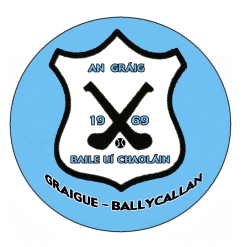 After eight matches in the Junior B campaign, Ggraigue Ballycallan qualified for the Junior B League Final in Dunmore where their opponents were O’Loughlin Gaels. After been beaten by their opponents in the previous meeting GBC were expecting a tough challenge and the city side duly obliged. In front of a large attendance both sides delivered tough and uncompromising displays which was evident when they went in at half time on a scoreline of 1-8 each. 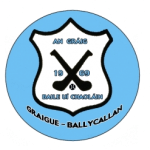 A good start in the second half saw GBC build up an early lead which assisted them throughout the final twenty minutes when O’Loughlin’s battled back but GBC were not to be denied and ran out worthy winners on a final score of GBC 2-18 O’Loughlin Gaels 2-14. Scores: C. Murphy 0-06 (6 fs), W. O’Connor 1-2, A. Brennan 1-1, C. Hogan 0-3, K. Egan, E. Brennan and J. Dermody 0-2 each. 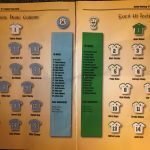 Panel: P. Dunphy, M. Fitzpatrick, J. Ryall(C), P. Robinson, T. Dunphy, E. Corcoran, K. Egan, C. Murphy, C. Hogan, D. Ryall, T. Ryan, A. Brennan, E. Brennan W. O’Connor. Subs. P. Cahill, J. Dermody, A. Corcoran.